Are you our ideal candidate? We are looking for 10 enthusiastic individuals who suffer from severely sun damaged, scarred or traumatised skin. The more damaged the better! No case is too dramatic for this project. A good mix of ladies & gents are preferred. Ideally five men & five women from the ages of 18-65 years of age. A can do attitude is vital. This is a three month partnership that will take persistence and commitment. Your dedication and time is of the utmost importance. Our team of practitioners will be dedicated to achieving the best outcome for your skin. In return your time commitment will be required through possible weekly clinic visits and an in-depth skin care regime at home. We need individuals who are comfortable to share their results. As this is a case study the results achieved will be used for both training and marketing purposes so other people can achieve the same positive outcomes that you did. We do require a registration fee to be involved. Within this trial you will receive expert advice from QUALIFIED Skin Practitioners, a personalised skin program specific to your skin goals, regular progress photographs using a high-tech Visia facial imaging camera, an extensive home skincare product range and in clinic treatments and procedures to the value of over $2,900 and ongoing support from our team throughout the duration of this program. We want you to be as equally committed to this as we are and have found that a registration fee of $550 will not only provide you with skin care products and treatments to the value of well over $2,900 but will also make you more accountable to getting the results we know you can achieve. Should you have any further questions, please contact our clinic coordinators on: 3849 4111. Email us your facial images, mobile no. and best postal address to [email protected] Tell us your name, about your skin concerns, and best postal address. Make sure you add IPSPme applicant to the subject line. We will review all applications and should you be accepted you’ll be contacted by 3 weeks into January 2017 for your first interview. 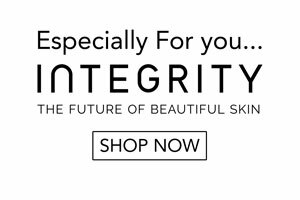 INTEGRITY PARAMEDICAL SKIN PRACTITIONERS PTY LTD. ALL RIGHTS RESERVED 2019.